A geothermal heat pump uses the relative consistency of the temperature beneath the earth to maximum advantage in all seasons. In summer, it extracts heat from the home and transfers it into the ground for cooling. In winter, natural warmth is drawn from the ground into the home for heating. By pulling air in at a ground temperature that is more or less consistent year-round, a geothermal system can effectively reduce energy consumption as much as 50 to 65%. Geothermal heat pumps do not require refrigerants that can harm the environment in order to operate. In addition to being virtually silent, their straightforward and efficient design, with fewer moving parts, results in a higher energy efficiency rating than other systems. Compared to the 1-year warranty on most standard heat pumps, the geothermal heat pumps we install in our homes are routinely covered by a 7 to 10 year warranty. For yet another cost-saving measure, with minor modifications the system can even be configured to supply the home with hot water, in addition to heating and cooling functions. Although the initial investment may seem steep, a professionally-installed geothermal system will pay for itself in energy savings in as little as five years. Get in touch with Sustainable Homes today to learn more about the impressive, money-saving benefits of geothermal systems, as well as the many other advantages we offer to buyers of our custom homes. 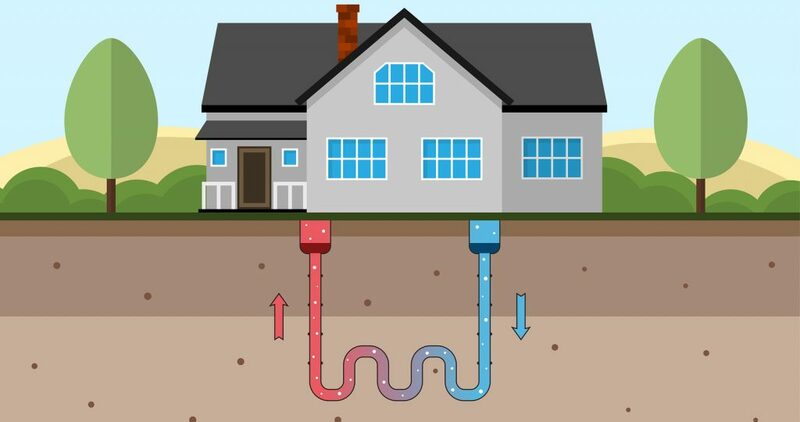 At Sustainable Homes Inc., we understand that a geothermal system as part of your new custom home is a considerable investment, so take advantage of our expertise to learn more about this remarkable technology, one of the hallmarks of our renowned custom homes. Just give us a call at 830-537-5290, or contact us using the button below with a few details about your plans. We’d be happy to schedule an appointment for a free consultation, during which you will receive a detailed quote based on your individual needs. Our goal is to make it easy for you to decide whether a sustainable custom home would be the perfect choice for you and your family.